Sharing the latest and greatest of your favorite stars of the river! What has that American Dipper been doing all winter? When will Mrs. Merganser Duck have her babies? What colors will the wildflowers be wearing this season? 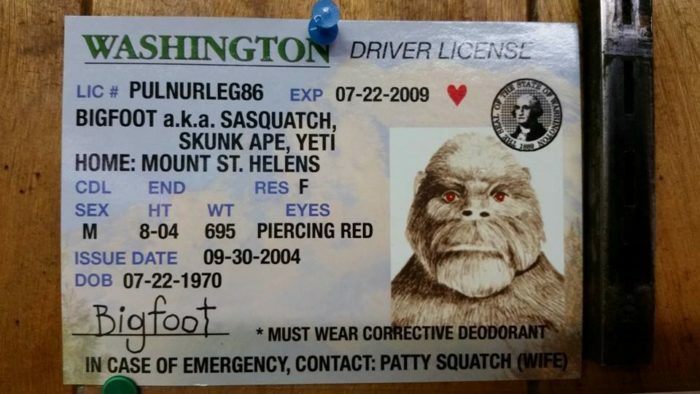 Is sasquatch still hanging out at Shark Tooth Rapid? And what about the native river guides with their mysterious ways — just where do they come from anyways? The people have demanded to hear the story of the Wild & Scenic free-flowing glacial fed river that inspires the hearts of so many. We hear your request and we are here to serve! As people who play, work, and live with all these amazing river beings, we get a rare glimpse at the ever-changing world of whitewater. It is our honor to share these stories with you. Even off the river these All Adventures guides don’t feel quite right without a raft beneath them! We can’t wait for you to meet our newest family members — people who love the river and love sharing it with you! At All Adventures Rafting we see rafting as an incredibly fun, exciting experience that connects folks to the unique natural and cultural history of a place. All Adventures guide, Peter Spaholtz, put together these awesome interpretive cards specific to the White Salmon River. Our deck has 45 cards covering the geology, flora, fauna, indigenous culture, and places of historic significance. Check them out before you launch on your next rafting adventure! Start Spring with a Splash! Spring has arrived in Columbia River Gorge and it is time to come and play with us again! The epic snow of this past winter has gotten the boating community buzzing with excitement — we are going to have an amazing water year. If you have never joined us for early rafting season you are in for a treat! Initial snow melt in spring = higher flows = bigger, splashier rapids! We highly recommend this for experienced or adventurous souls. All Adventures Rafting season opens May 13, 2017 — we can’t wait to share our Love of River with you on and off the water!